TEXCOMS WORLDWIDE takes privilege to meet the innovation lovers in fashion textile industry on the grounds of ITMA. The provider of a plethora of exciting ideas ITMA is back this year. The masterminds behind the most successful textile manufacturers, trendsetters of fashion world, innovators of promising technical machineries, budding entrepreneurs and the students with their glowing ideas meet between 20th and 26th of June 2019 in Fira de Barcelona in Spain. The members of TEXCOMS WORLDWIDE would participate in ITMA representing TEXCOMS TEXTILE SOLUTIONS for the first time. Established with the mission of cost reduction for textile manufacturers, our consultancy takes immense pleasure in sharing our ideas and about the services such as project management and development, upgradation of machineries, improvisation of productivity and revenue with ensured quality, market research, etc., on an international platform extended for textile industrialists. Attempting to throw light on the latest trends and technologies, the event is a hub of knowledge sharing. Who are the participants of ITMA and what can they take back? 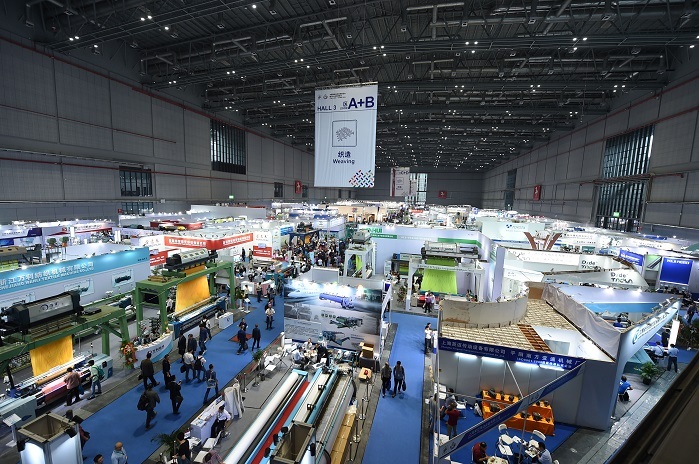 Thousands of exhibitors and visitors arrive at the grand event from more than 40 countries every year. Several delegates turn up for some of the events that are organized by ITMA in collaboration with leading industries. As ITMA has always been concerned of Research and Innovations, there is a wide space for students to acquire and share newfangled ideas that would assist the investors and buyers to combine their experience with novelties for creating and upgrading the everchanging young new brave fashion world. ITMA has a concrete role in developing and inducing awareness about the nonwoven textiles among the industrialists. The upcoming events in the expo would more likely determine the next level of improvisations that are possible under nonwovens technology. Several concerns of industrial requirements and economic as well as other sustainability issues in the textile industry are expected to be discussed in the forum. TEXCOMS in ITMA 2019… A drop in the ocean? There is a popular saying in Spanish ‘Todo experto fue una vez principiante’, meaning ‘All expert was a beginner once’, which we have always been doing and what ITMA is boastful about as well. Count on the benefits of learning experience on an international platform and exchange of knowledge for better changes in the world of textile industry.